This post is a reflection of all the times I have taken part in Eduigite sessions. I do, I get really red because I am not a public speaker and the nerves are just there. So the first thing I did was research and some steps I read include, drink cold water before going into a session, locate the room and survey before you begin, make connections with your audience, and just get in front and do it. The more you present the better you will be. The steps are simple enough except for ‘practice speaking out loud as often as you can to a room full of people’. Hence Eduignite. Where else could I find a better group of people to practice on than my own peers? My first eduignite, I attended was Term 3 2012. The second time I was unwell, but went along anyway and presented. I was really nervous as you can see and hear. To present in 5 minutes, a lot of time is involved in preparation just for 5 minutes. The format is 20 slides in 5 minutes. Each slide auto runs at 15 sec intervals. You have to know your topic really well. I rely on cue cards as I speak, because I just do. I have also used an ipad as cue cards and learnt to create PDFs that could be downloaded in advance using iBooks. That was before schools had easier access to wifi. Now I usually use them because it is just one less technology I am organising. As each session progressed, I am not as nervous at the thought. I have now given 5x mini presentations and yes my confidence has certainly grown in this area. I do not feel as nervous as the earlier days and I am getting better. Every so often I get feedback that makes me pause and think. Like last presentation night when Emma Winder said Sonya you always share some great ideas. Because for me the real purpose is practicing with a room full of peers to overcome nerves. The bonus is I also get to listen to other stunning presentations and hear teachers sharing their stories. I also like to see the videos of my own performance and the earlier ones I cringe at but learning can’t happen without a few lessons. Last night, I did not blush. Where to next for me. The next eduignite is held at the National library in week 1-2 of Term 4. Andrew Cowie is orgainisng that one as part of Connected Educators Month #CENZ14 and I will present again because this year I set myself a goal of sharing a three part journey. Part one: My personal tattoo, Part two: My digital tattoo, Part three: Citizenship. You can check out the slides on my slideshare account. I have had Reubina Irshad come along to one session and Wendy Kofoed my principal attend another. Eduignite stipulates that the first time you attend, the second you either present or bring a mate. Having peers attending from school only added to the stress of presenting because again, presenting to people you know has both positives and negatives. This time too I have set further goals, invite the rest of Newmarket Staff to join me in the third presentation of the three part series, get some more feedback from Veni to see if he thinks I have improved and EKK not use cue cards. There I have written it down. This would be extra fabulous for me because I have been working with our Newmarket Staff on making connections with each other using social media. Eduignite would be a great way of connecting with other educators F2F outside of Newmarket School, use twitter during the session and maybe this might higlight too the importance of making their own learning visible. The great thing about Eduignite is that the entertainment learning is free and there is always wine and food. The evenings are fun and you get to meet some great people. So I do hope you all join me in Term 4 at the National Library. Finally, just a shout out for Torbay school who hosted the last session. They are selling cook books as a fund raiser. I loved the way Johanna Chambers kept reminding us and she did all she could to support her school in their fundraiser. Oh and I caught the tail end of their children’s Trash to Fash sharing. It was absolutely brilliant. Kia Ora, Talofa and greetings everyone. I am a teacher at Newmarket School in Auckland New Zealand. My topic tonight is the Joys of Google Hangout. However it is more about sharing the story around setting up TeachMeetNZ and the people involved. 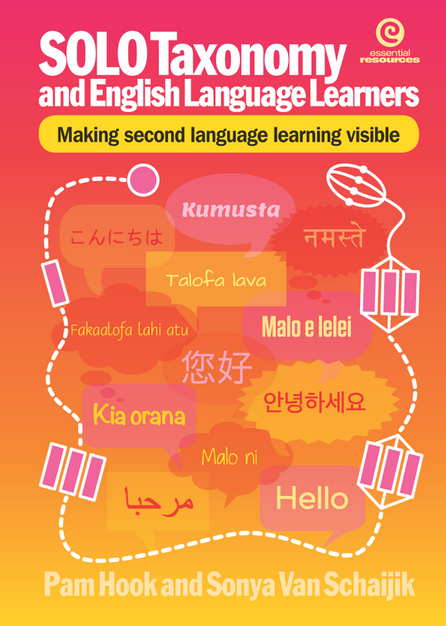 NZ is aiming for New Zealand Educators to share and the virtual is the online part. The journey is two years old and began with the Reform Symposium when there was a call for moderators for the unconference. I agreed to be a moderator and Kimberley Rivett was a presenter. We used elluminate to present with. Then in 2012, a call for virtual presenters came via Arjana of TeachMeetInt. It was a 3.00am session on September 29. The session featured speakers from 16 countries sharing their passion. After that we had the Google summit at Albany College and I heard Tony Richards speak on Google Hangouts. We were able to see a live hangout in session. I was inspired and the seed started growing. Next in March of this year, Steve put a call out for moderators for the School Leadership Summit using Blackboard. I offered to be a moderator and looked after three online presentations. During the second TeachMeet Int, there was a system crash. It was 4.00am. I was 6thin line to present and there had been problems. So I flicked over to slideshare and presented using the audio on Elluminate. The idea was taking shape. Two weeks later at Ignition in May coordinated by Mark Osborne , I placed a notice up if anyone wanted to trial google hangout and to present a nano presentation. There were 6 people who joined the discussion and I shoulder tapped others. I spoke with Arjana about using the TeachMeet format and she put me in contact with Ewan McIntosh. He was supportive and directed me to the TeachMeet Wiki and said, help yourself. We agreed on a date and my team of helpers supported me in ironing out all the glitches. I am grateful for their help. We live streamed all the training and mistakes. So that they could be rewound and learnt from. We used twitter to communicate, slideshare and google presentations to share the work, Google Hangout to come together and sort any challenges and wikispace to aggregate and live stream our work. Any challenges with the tools, we faced together and sorted out together. The week before the first session, I lost a presenter and the day before I lost another. Both cancellations were for valid reasons. Ah Huh moments happened. I quickly saw the potential of the tool for learning. I can see the principal recording a message for our parents. I can see school events being live streamed. I can see teachers giving live messages to parents. The TeachMeetNZ project is the final part of my efellow learning about hyperconnectivity It has allowed me to rethink the ways that teachers can share learning. The project has also allowed me to focus on my own learning and hyperconnecting and developing the face to face connections as is stressed by Mark Pesce. The format of the sessions involves each presenter with a 3 minute slot. The rest of the participants turn off video and mic to conserve bandwidth. Questions and comments take place on twitter. Our second TeachMeet was a lot easier because I knew the tools so much better and the training sessions were focused. Again I shoulder tapped a few teachers and this time we had observers from Korea and Saudi Arabia. A good idea is to include the audience almost by acting out a part. For our second session we had a an audience viewing of 89 with some from Brazil and India. This video has already passed 100. Each participant introduces themselves and sets up and flicks on their presentation. Everyone is encouraged to say where you are from and even what the weather is like. Our second session had presenters fro Christchurch and Nelson. I challenge you to have a go. You get to meet some amazing educators almost face to face. You end up with a product for your portfolio including a TeachMeetNZ badge. If you want to know more or would like to be part of the next TeachMeetNZ session using Google Hangouts and if you are not attending Ulearn, then please send me a tweet or an email. Presented at Edugnite Emerging Leadership session. 2013-04-Sonya-Van-Schaijik-ict-pedagogy from Emerging Leaders on Vimeo.